China’s silicone market saw balanced supply and demand in 2018, and the overall silicone market continued to perform well. Driven by the increase of production cost and demand, no newly added capacity going into production and almost full running load, prices of most silicone products continued the uptrend in 2017 and hit new highs in 2018. 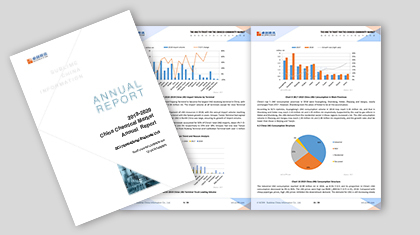 The average operating rate of China’s silicone monomer industry was as high as above 90% in 2018. Moreover, by late 2019, no newly added capacity will go into production. Thus, in 2018, silicone monomer enterprises held higher power in pricing. The profit space of downstream industries shrank gradually despite smooth price transmission in the industry. Accordingly, downstream users showed increasing resistance sentiment for high-priced silicone. With silicone prices climbing, price edges of substitutes stand out gradually. Downstream industries suffer more and more pressure on operation. It will be significant to balance the profits between silicone and its upstream and downstream products. Against robust domestic and foreign markets demand, how will the downstream demand pattern evolve? What will happen to the driving factors of silicone industry in the complicated market circumstances in 2019? What opportunities and challenges will manufacturers, importers and exporters encounter under the imposition of import and export taxes on primary-forms polysiloxane? Based on 7-year professional market research experience, 2018-2019 China Silicone Market Annual Report will present China’s silicone market via qualitative and quantitative analysis, so as to help market participants master market trend and evade investment risks. 1. The report covers detail data including capacity, output and price from 2014 to 2018, in a bid to master the past and future markets overall. 2. The supply and demand forecast data in this report is based on quantized data, which will provide better market guidance. 3. The report will elaborate the supply-demand pattern changes of China’s silicone market from different perspectives to show the influence of China’s silicone market on the world and better grasp industry development opportunities. 4. Analysis on the price driving factors from different aspects and objective evaluation about the current situation of the silicone market.